Learning some Latin vocabulary has been on my radar for a while, so we tested out Picta Dicta Natural World from Roman Roads Media. 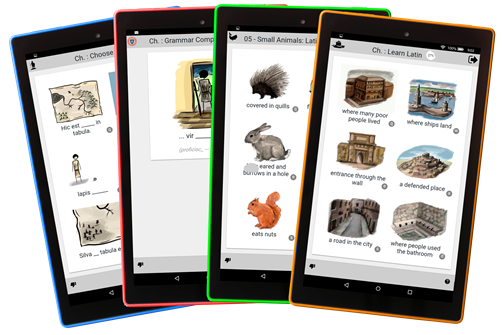 Picta Dicta Natural World is a computer or tablet based program designed to teach 400 Latin nouns. 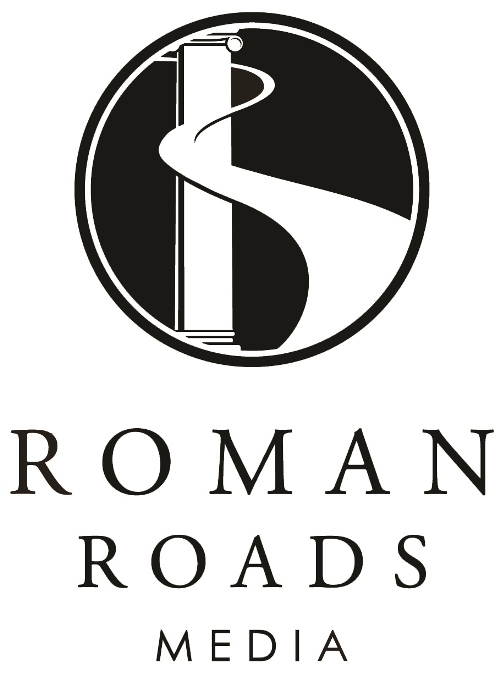 I know a lot of parents who cover Latin (especially with young children) do so because they are following a classical model of homeschool. We aren’t a classical style homeschool, although I use some classical materials. Most of our education materials are old-fashioned, and literature-based. My children are in their 6th year of studying Chinese, and we are doing French this year as a family. In my experience, 400 words is a large number of words to cover in an elementary-level foreign language curriculum, and that makes this program a pretty good buy on a per-word-basis. This is a great support for helping children improve their language skills in English and any other Romance language such as Spanish or French. Already, my son has made some connections between Latin, English, and French. The pictures that go with the curriculum are great. They’re detailed drawings and well done. You can hear every word pronounced aloud. The vocabulary teaches you to think more generally about the noun, because of course other languages make distinctions (or don’t) that English doesn’t (or does) make. My 11yo is very independent and will work on the computer himself, but we did this together. The program is what I call a “flash card based” program because it’s centered around showing you flash cards and having you choose the correct one. There are also activities to fill in the blank, etc. Each lesson only takes about 15 minutes, so it’s pretty easy to fit in to the day. However, if your child wants to quit partway through a lesson, progress can still be saved. This is a nice feature. My 11yo is that kind of kid who wants to have 100% every time so he replayed a few games. 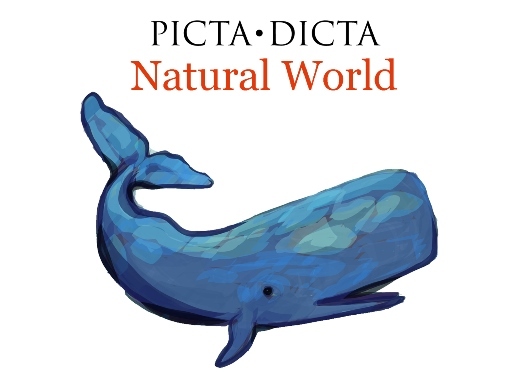 Overall, Picta Dicta Natural World is an easy way to add some Latin to your homeschool day. I would do it on its own to learn 400 Latin nouns, or to add to a study of Spanish, French, English, or scientific subjects like Anatomy. 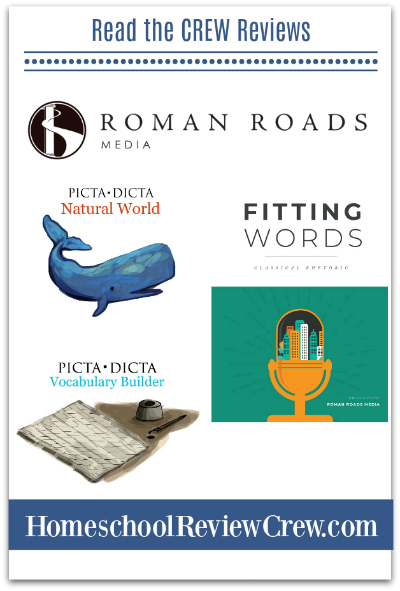 Roman Roads Media asked other Review Crew members to review Picta Dicta Natural World and some of their other products as well, including Fitting Words Classical Rhetoric (complete program) and Picta Dicta Vocabulary Builder Click the link below to see more.